Are you in to the fine art of navigating on centimeter accuracy? 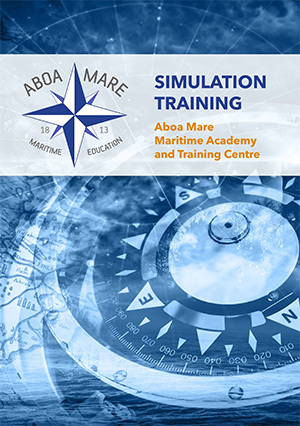 Our DP simulator consists of DP simulator bridge and a DP simulator classroom audited by the Nautical Institute, according to DP simulator class B requirements. We are accredited for DP Induction and DP Simulator training. In addition to our standard DP simulator we can also offer training on NAVIS maneuvering joystick control system. This system is for instance used on Viking Line M/S Viking Grace and TUI Cruises Mein Schiff series and they are receiving their training for the NAVIS maneuvering joystick in our simulator. Our DP Simulator classroom has eight DP desktop computers with Navis NavDP 4000 Tutor fully functional NavDP software. The system supports all applicable modes of DP operations as well as simplified simulation for environmental conditions. A DP desktop simulator is available for each trainee during the DP Induction and DP Simulator courses.